To develop a dialogue between science and society. The Stroke Alliance for Europe (SAFE) was formed in October 2004 in Brussels with a member of 15 European Stroke Organisations; Austria, Denmark, Finland, France, Germany, Hungary, Ireland, Israel, Italy, Netherlands, Norway, Slovenia, Spain, Sweden and United Kingdom. Since then many new countries have joined and we are now 28 member organisations. 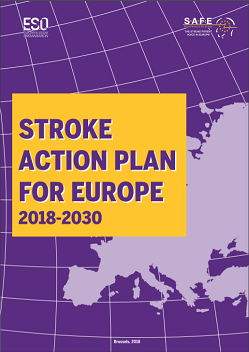 SAFE aims to bring together its own member patient organisations and relevant others to develop a dialogue to promote international understanding of stroke and how it can be prevented. We also exist to advocate for better stroke care by better research and good practice implementation. The Collaborative Partnership Principles describe the conditions for your company or organisation to become closely linked with SAFE, its members, mission and objectives, whilst at the same time raising your profile and credibility in a Europe that is increasingly concerned about the importance of health, the current state of healthcare provisions and prevention of illness. Across the world, progressive businesses and organisations know they have a corporate social responsibility to do good for society as well as sustaining themselves. This principle is recognized by enhanced reputation and loyalty from customers, and SAFE recognizes that in the stroke world there are still organisations that are looking for partners, sponsorship, educational funds and provision of expertise. Joining as an associate member are all ways in which organisations can show corporate social responsibility, and support SAFE. SAFE relies on partnerships for the continuation of its operations. In order to ensure its independence, SAFE does not accept donations that are dependent on policies set by others. The Board exercises care that funding does not condition its priority setting, the mission, messages, or any other activities of the organisation, thereby ensuring the independence of SAFE to carry out its mission and objectives. 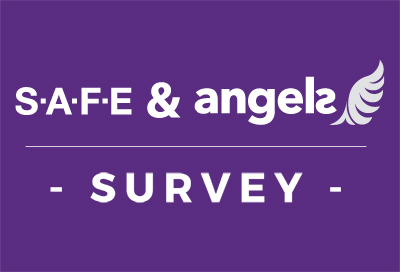 SAFE will only partner with companies and organisations of high standing and reputation and all partnership relationships must be transparent to SAFE and its membership, its key stakeholders, as well as to prospective partners and donors. Who can become a collaborative partner to SAFE? 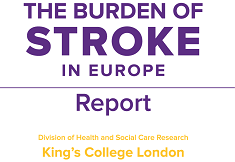 Any company or organisation that wishes to demonstrate Corporate Social Responsibility and wishes to see progress in preventing, treating and researching stroke and its consequences. In addition there are opportunities for all partners to collaborate with SAFE on projects and conferences, which are of mutual benefit, evaluated on a case-by-case basis. The Board of SAFE will review these principles annually and revise them as deemed appropriate. 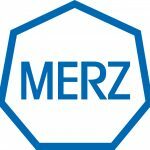 All partnerships established between SAFE and collaborative partners will reinforce SAFE and the company’s reputation and support integrity. Partnerships will be established on the basis of shared interest, transparency and mutual benefit. Collaborative Partners may not represent SAFE as an endorser of any specific product or service, nor should any partnership between SAFE and a corporation in any way imply SAFE’s endorsement of a corporation, its products or its service. SAFE reserves the right to approve the use of its logo in the context described below. For reasons of transparency, all collaborative partners will be publicly acknowledged by SAFE. Corporate support generally will be acknowledged in SAFE publications, website, media announcements and events. Partnership with SAFE offers companies the opportunity to be associated with SAFE to show corporate social responsibility to potential customers. Companies interested in partnerships are expected to share the mission and objectives of SAFE. Right to promote the association with SAFE in literature, website, promotions, etc. However, no product endorsement. Use of the SAFE name and logo accompanying “Platinum Partner of SAFE” title for advertising promotions and public relations. 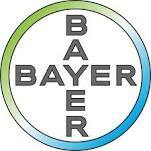 Title sponsor of appropriate programmes for the duration of the partnership. Use of the SAFE name and logo accompanying “Gold Partner of SAFE” title for advertising promotions and public relations. Right to promote the association with SAFE in literature, website, promotions, etc, although no product endorsement is permitted. Use of the SAFE name and logo accompanying ‘Silver Partner of SAFE’ title for advertising promotions and public relations. Recognition in SAFE newsletter, website and annual report. Website banner with link to the Partner’s website. Use of the SAFE name and logo accompanying “Bronze Partner of SAFE” title for advertising promotions and public relations. Partnership proposals, letter of agreement and contracts will abide by the principles outlined in this document. The Board and legal adviser of SAFE has the responsibility for ensuring that contracts comply with SAFE’s values and standards. SAFE will announce each partnership in its annual report and audited accounts, which is distributed to all members. Each partner will receive a copy of the annual report and audited accounts.